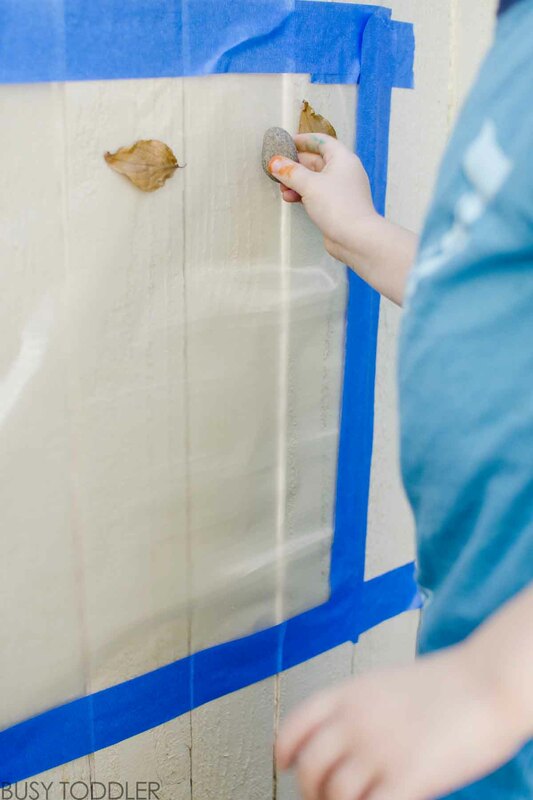 Make an outside sticky wall for easy backyard fun! 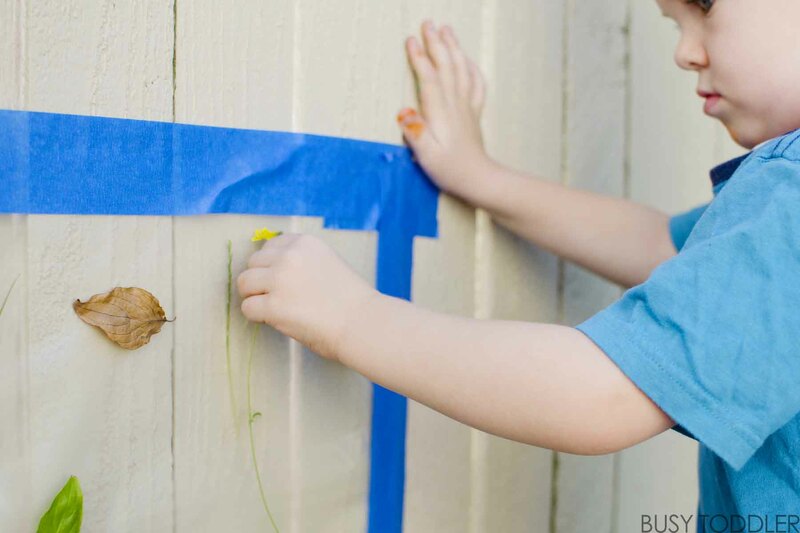 What’s better than an easy toddler activity that takes little ones outside?! I can’t tell you how much I love being able to take activities into our backyard – like our pouring station or chalk paint. Outdoor activities are the best and this outside sticky wall was perfect for us. 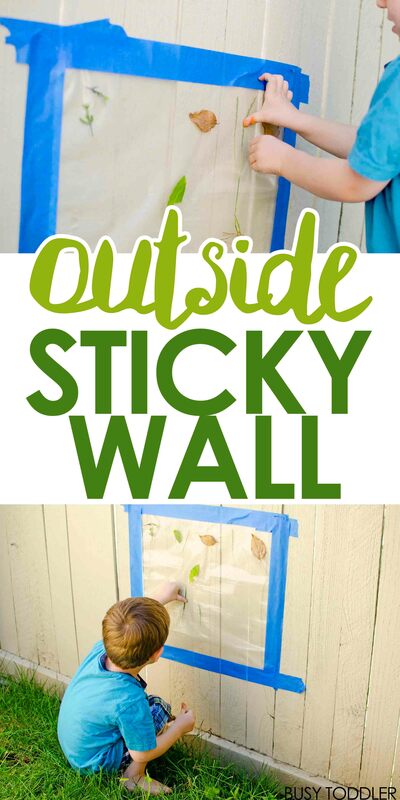 Setting up an outside sticky wall is so easy! We love using con-tact paper for activities – it’s a fun, versatile material that’s perfect for little ones. Con-tact paper is sticky on one side, like a giant sticker. Traditionally, it’s used for covering kitchen shelves or text books. But we can totally use it for toddler activities too! I carefully removed the back of the Con-tact paper to reveal the sticky side. 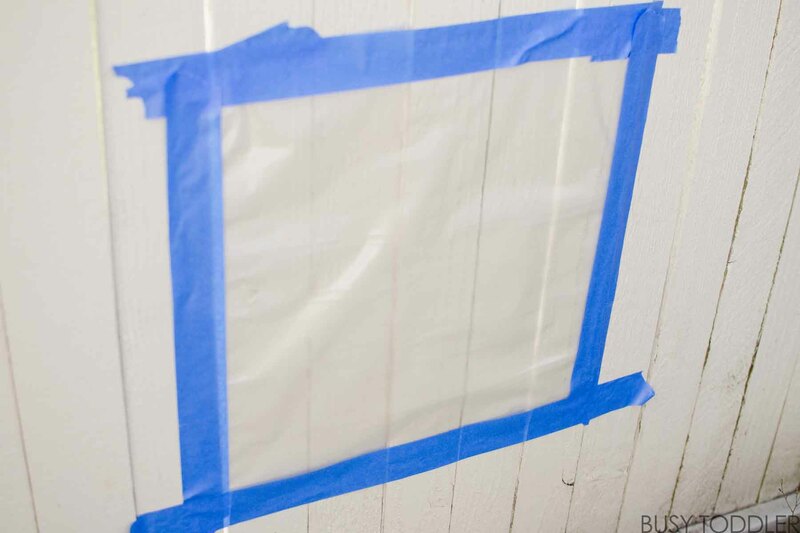 I taped the Con-tact paper to our fence using some painter’s tape – sticky side out. It’s always a good idea to test tape on your fence before committing – duct tape, for example, is not a good choice (take my word for it…). 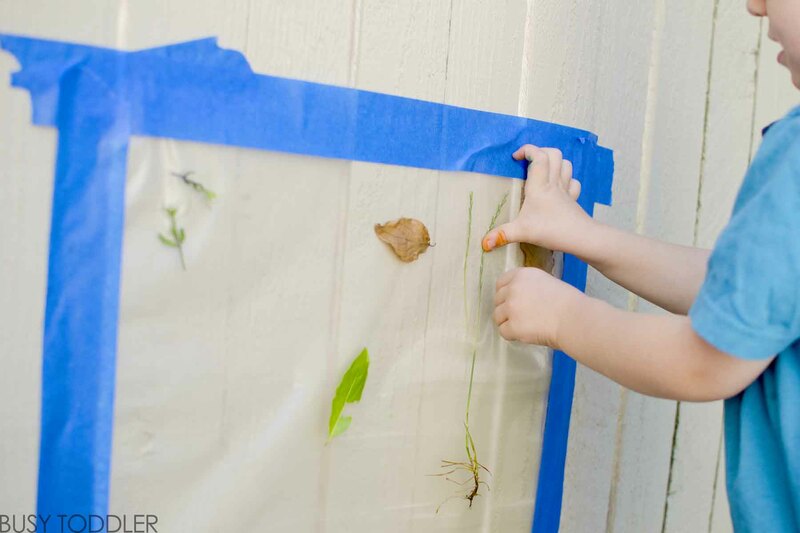 Let your toddler create a beautiful, sticky mural. The next step was all up to my toddler: find things around the yard that could stick to our sticky wall. He was FASCINATED by what would and wouldn’t stick. I loved the trial and error that went into this activity. Something about grass being able to stick to the wall was especially exciting for him. Rocks, he quickly discovered, didn’t stick to our wall. They were too heavy. This helped him begin formulating a “rule” for what would and wouldn’t stick to his sticky wall. Little sister (18 months old) was very into this activity too, but sadly, didn’t make it into any pictures -she moves too fast – so you’ll have to take my word for it. Con-tact paper is great even with young toddlers like her. 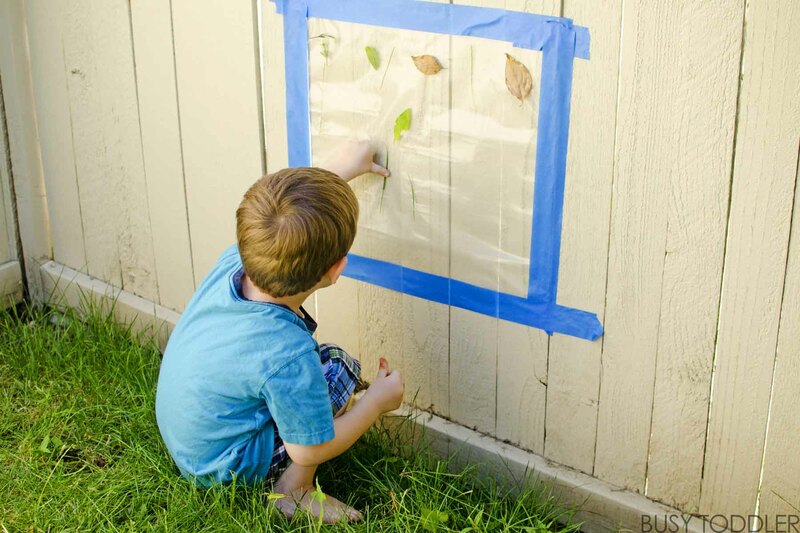 Use this sticky wall to explore nature. Working with Con-tact paper was a great way for my son to get up close and personal with nature. He noticed so much about the details in petal and seeds in the grass by sticky them to the wall. What a fun, easy way to interact with nature! 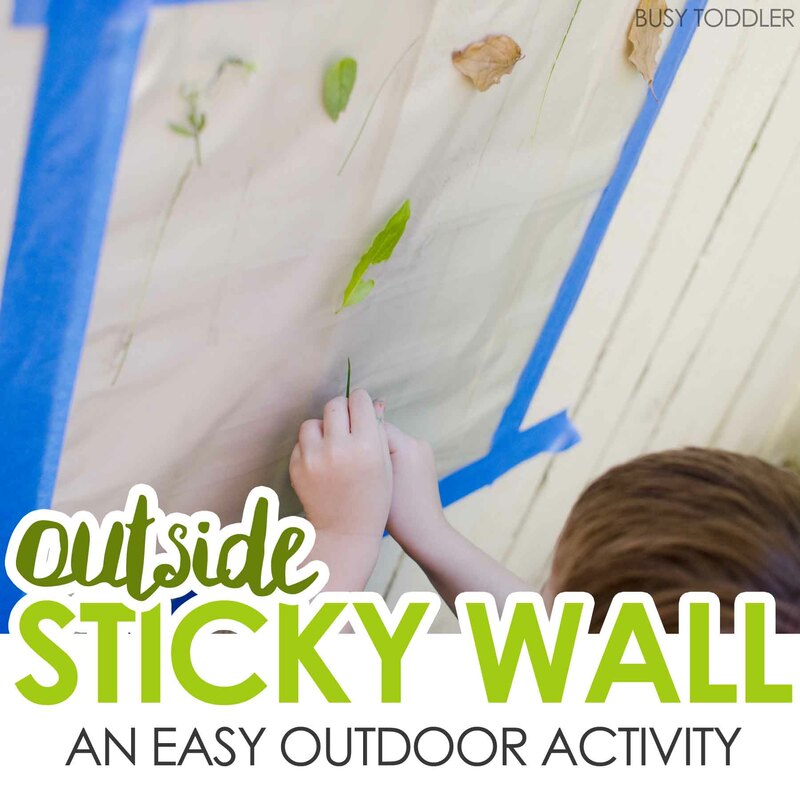 The outside sticky wall was an awesome morning activity for my toddlers. 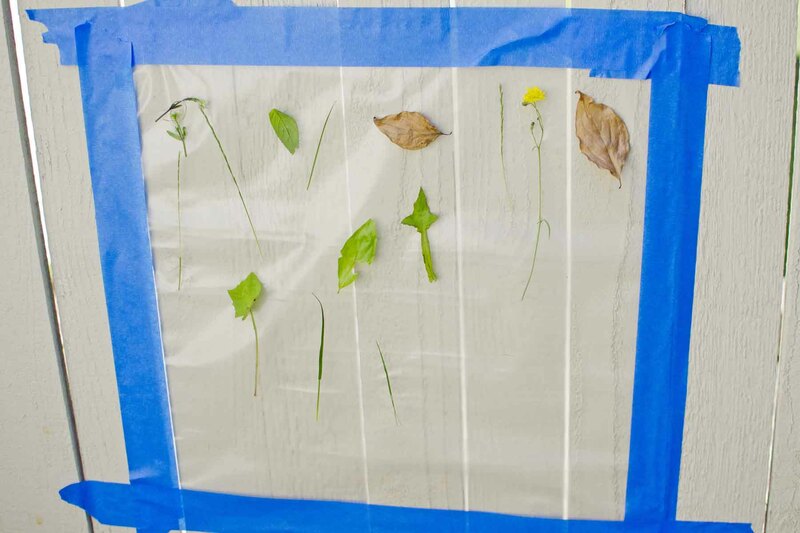 They loved playing with the fun sticky texture of the Con-tact paper and sticking their outdoor finds to the wall. It’s always fun to see creativity and science interplay together. Would you tots dig this outside sticky wall?